Whether you’re having a romantic dinner or planning a girl’s night in on Valentine’s Day, here are some cocktail recipes you can pour your heart over. 1. On a small plate, mix together the sugar and cocoa. 2. 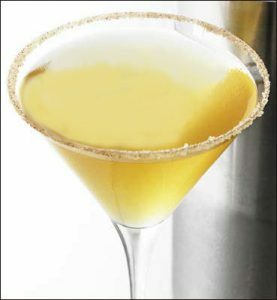 Rub the outside edge of the martini glass with a lime wedge and roll in sugar to coat. 3. In a cocktail shaker filled with ice, add all of the remaining ingredients and shake vigorously. 4. Strain into a cocktail glass and drop in a chocolate kiss. 1. 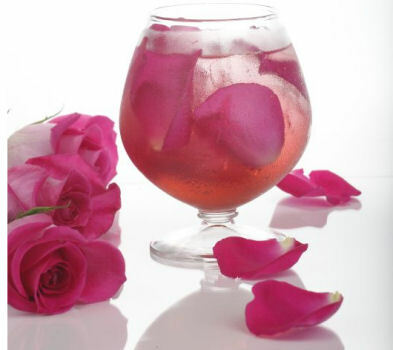 In a collins glass, muddle rose petals and simple syrup add ice. 2. Pour vodka and raspberry liquor then fill with champagne. 1.Muddle, shake and fine strain over ice into a rocks glass. 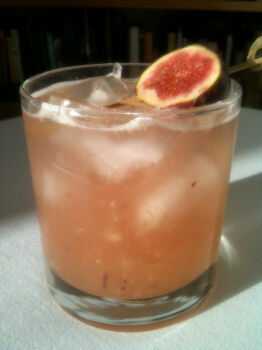 2.Top with Mionetto Brut Prosecco and garnish with a fresh fig wheel.